I’m been feeding my vinyl record addiction for almost a year now! My collection has grown by leaps and bounds. A big chunk of it is music I had on vinyl years ago, or music I already own on MP3. But I’ve also discovered some music that’s new to me. I’ve been asked if I have a favorite record in my collection, or a favorite discovery. I really like them all, but I have to say, I’ve really enjoyed falling into one particular rabbit hole: learning about and collecting music on Cadet Records. Cadet was one of the Chess Records labels, and its prominence was in the late 1960s and 1970s. And the primary force that shaped a lot of the records I’ve collected was a man named Charles Stepney. Stepney was a musician and a classically trained arranger. At Cadet, he became a producer. The acts that he worked with all had a remarkably unique sound. It blended contemporary pop music of the day with soul, and in some cases, with a bit of psychedelic rock. The band Rotary Connection was one of the main acts Stepney worked with (he was also a member). It was a supergroup of sorts, including some famous names like Terry Collier and Phil Upchurch, and a singer who’d worked in the label’s offices, a young woman you might have heard of named Minnie Riperton. I dare you to find a song as cool as Marlena Shaw’s “California Soul,” also produced by Stepney. There’s a few more artists Stepney worked with whose albums I haven’t added to my collection just yet. And oh, yeah – there’s a band who he also helped out, helped them define their sound. Maybe you’ve heard of them – Earth, Wind and Fire? 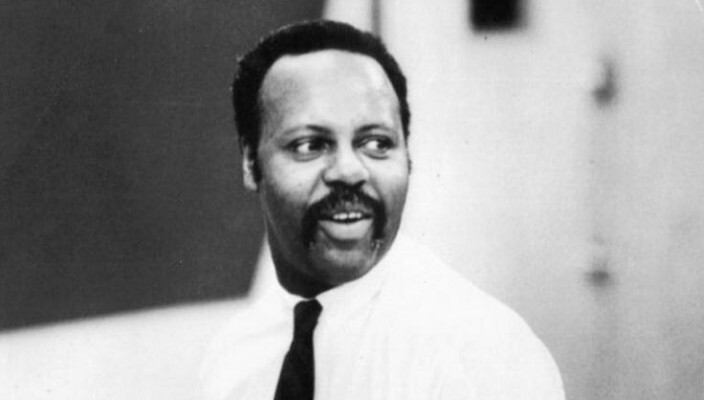 Indeed, both Stepney and EWF’s Maurice White worked together on a number of projects in the 1970s, including the Deniece Williams and Ramsey Lewis albums I’ve posted above. Sadly, Stepney died of a heart attack in 1976. His family has been fighting for some time to gain both recognition for his work and the proper compensation for it, arguing that some of the record companies and publishers he worked with didn’t pay him what they owed him (and now owe his estate). The story of Cadet, and of the Stepney sound, seems like a no-brainer for a book or movie. But a number of the figures in that story are no longer here. It was only a few years after Stepney’s death that Minnie Riperton lost her battle with cancer. Maurice White died in 2016. It’s been exciting to hear each new discovery – new to me – of the work of Stepney and of the amazing artists and collaborations. And it’s been cool to learn more about Chicago and its place in music history. My husband and I lived, for a time, just a few blocks from the Ter-Mar studios on South Michigan Avenue, where almost all of these albums were recorded. The Stepney Sound may be classic music that is new to me, but it’s impossible to hear it and not get a sense of its substantial influence on so many contemporary artists, especially neo-soul and rap artists.